Decades of overfishing has completely changed the ecosystem of the English Channel, according to a new report in the journal PLOS ONE. Where large fish such as cod and haddock were once common, smaller fish and invertebrates have taken their place. Although the food web has been altered, this hasn't slowed the British fishing industry. "All around the U.K. we are scraping the barrel, destructively dredging the seabed for scallops and prawns as fish have disappeared," states Jason Hall-Spencer, a marine biologist at Plymouth University and an author of the study. 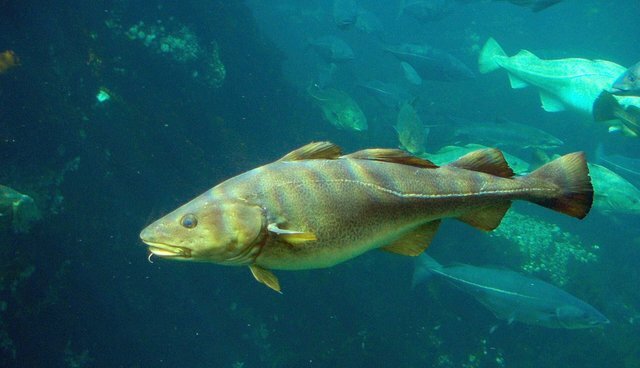 In 1920, cod and similar large finfish represented about half of all fish caught. By 2010, that proportion had plummeted to 14 percent. "Fisheries typically remove top predators first and as a result their direct competitors and prey are able to prosper, affecting the overall productivity and ecological stability of the ecosystem," says Carlotta Molfese, a Plymouth University biologist, in a press release. "Severe declines in the populations of major predator species have now been reported around the world." But the scientists found two periods that bucked the trend of declining fish stocks -- during World War I and II, there were fewer fishers in the English Channel, and the fishing populations rose. Mimicking these periods of less intensive fishing, then, would be a boon to fish in the Channel. "When destructive fishing practices are banned, marine life soon recovers," Hall-Spencer says. "So we urgently need a network of recovery zones in the English Channel to allow marine life to bounce back."